Duvets come in varying tog ratings. These are given to rate the performance of the insulation. The higher the rating of the tog, the warmer the duvet will be. Of course, there are alternatives at Bedstar;instead of buying two different duvets for the hot and cold seasons, some actually come with two layers of installation, which can be swapped over or removed to create the correct thermal protection for the time of year. Perfect for all seasons! Remember in the olden days when people used blankets to keep warm. Those cold frosty winter mornings were spent under layers and layers of various blankets from around the house. Well, nowadays, we have duvets to keep us warm instead. Thank goodness for modern society! They consist of an outer cover filled with either natural fillings, like down, feathers or wool or a more cost effective synthetic fillings like polyester and white fibre. 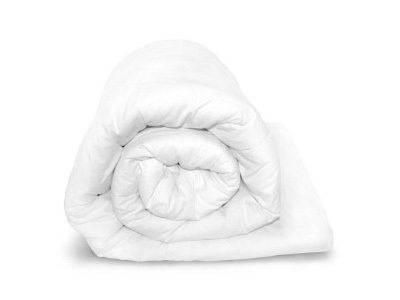 The outer cover of the duvet can be removed and washed to keep it fresh and clean. Perfect for mucky children and teenagers! More Than Just A Bed Filler! Of course a duvet doesn’t just belong on the bed! They are perfect for the futon in your living room, for the kids to sleep under on long distance car journeys or to chuck at your mate when they are kipping on the couch.You can even pack some extra duvets under your ottoman storage bed and tell your family to leave theirs at home.